Where does the term "boat" ends and where does the term "yacht" begins? There are many definitions for these terms and therefore you can also find a variety of boat insurances, yacht insurances, watercraft/pleasure craft insurance and much more where you can easily lose overview. Our insurance products "EIS BASIC" and "EIS TOP" are attractive for small motorized rowboats and small sailboats (eg yawl) as well as for water-ski boats and large yachts. 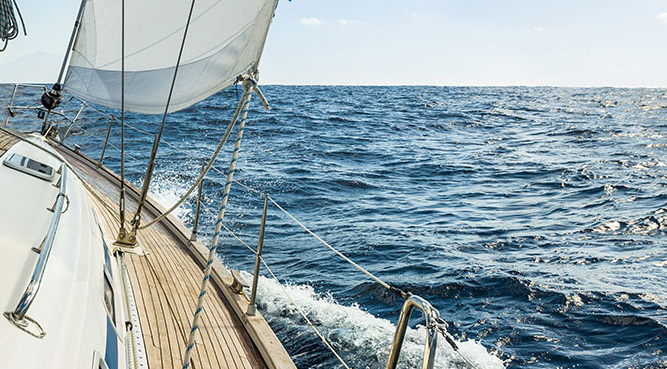 Due to the large flexibility in the contracts (subdivision of various boat types, various cruising areas, ...), our yacht and boat insurance will be best fit your needs. With the packages "EIS BASIC" and "EIS TOP" we offer a liability insurance, a fully comprehensive insurance and a personal accident insurance. Compare our different following offers.